A tiny tree grows next to a little pond. On the underside of one of the tree's leaves are some silky eggs. In the shallows of the tiny pond, just below the leaf, are some slimy eggs. One day a storm comes — wild winds blow, shaking the little leaf and ruffling the little pond. And when it's all passed over, just one silky egg and one slimy egg remain. Coincidentally, they hatch on the same day. And out pop tadpole Harold and caterpillar Grace. But being the only ones of their kind left in the area, they don't get off to a good start. The fish mock Harold — where are his fins?! The bugs mock Grace — what a horrible shade of green and, ugh, look at that fur! Wherever they go they're teased for being different. So, Harold and Grace become friends. But then Harold grows fins and now he spends more time playing with the fish … and ignoring Grace. Then Harold loses his tail, and along with it, his fickle friends the fish. They now think he's a freak. So Harold returns to find Grace. But instead of his loyal caterpillar friend, there's just a small, silky sack where she used to sit. Has Harold lost his one true friend forever? 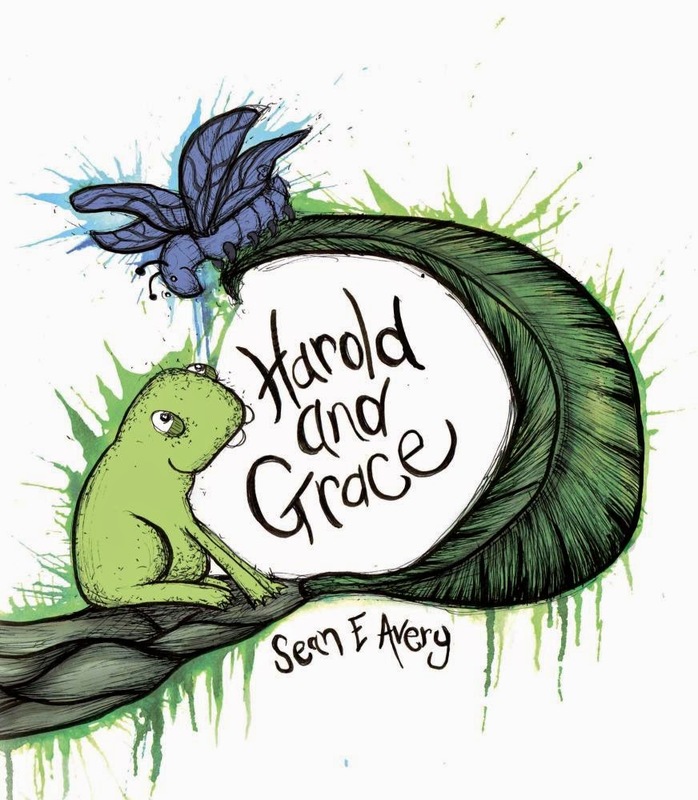 Sean Avery's pencil, ink and watercolour illustrations, in subtle shades of blue and green, are simply exquisite. His text — with moments of laugh-out-loud humour — is pretty fantastic too! The result is a heart-warming message wrapped up in a delightfully kid-friendly package.